news:rewired – what would you like to see? We’re starting to put our heads together again here at Journalism.co.uk to plan the next news:rewired event, which will offer practical advice from experts in journalism and digital publishing. We’re eager to open up the planning process this time around and hear from the people that attend our events. What would you like to see covered at our next conference? In what format? Feel free to contribute ideas on themes, sessions, or workshops, or areas of the industry you like to discuss, or on particular tools and techniques you’d like to see covered. You can leave your thoughts in the comments box below, or tweet us: @newsrewired using the hashtag #newsrw. 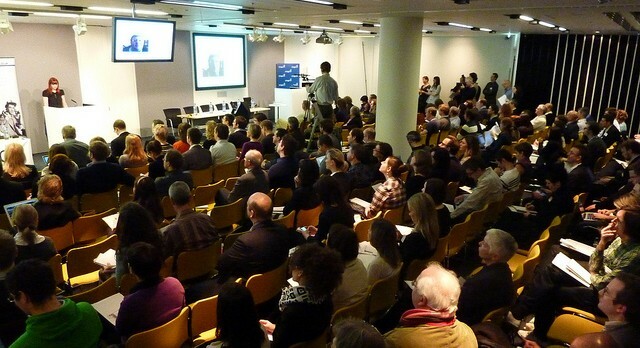 Image of the news:rewired crowd courtesy of Thoroughly Good on Flickr.